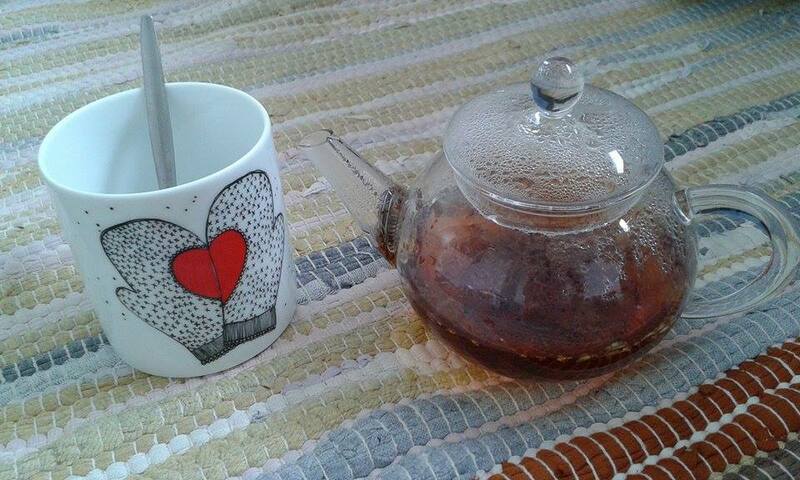 I often have a cup of tea to hand (and mouth) when drafting a new blog post. This time is no exception, however I can say with some satisfaction as I write this tea themed post, that I am writing while sipping on a tea that I blended with my own two hands. 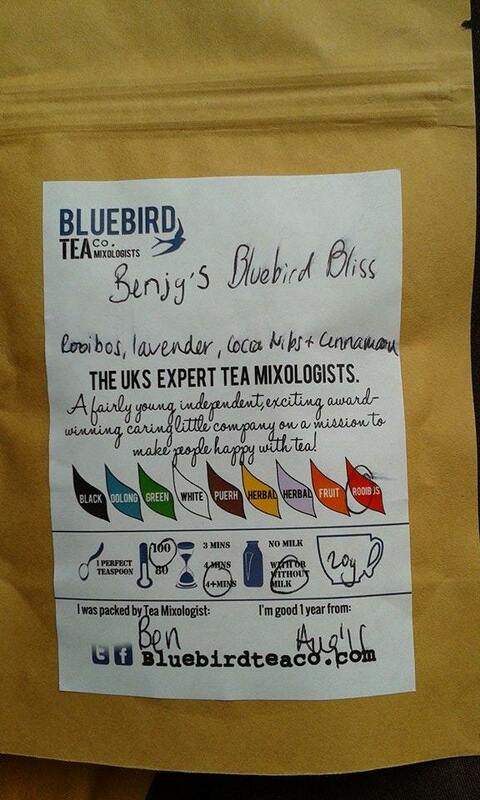 This blend of mine is named “Benjy’s Bluebird Bliss”; with a base of rooibos, and the curious flavours of cacao nibs, lavender and just a hint of cinnamon – with the effect being a cosy autumnal cuddle in a teacup. 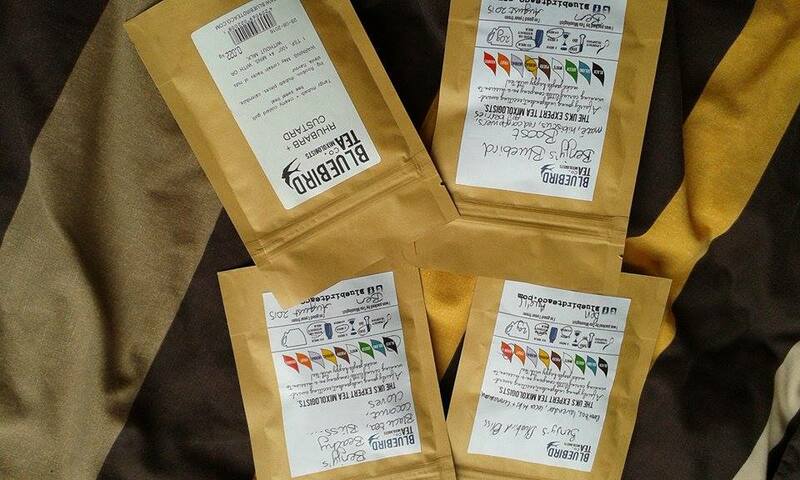 This foray of mine into tea blending comes courtesy of Bluebird Tea Company, based in the North Laine area of Brighton. I have been enjoying their simply marvellous range of blends for a little while now and this year decided to buy my girlfriend (being the one who introduced me to Bluebird and an even bigger tea fanatic than I) tickets to their tea mixology workshop for her birthday. Once a month – usually the last Friday – Bluebird’s shop and cafè stays open late into the evening to offer a small group of tea drinkers the chance to learn more about the art of fine tea production, taste many of their blends and even have a go at creating some new blends. All are welcome, whether you are well advanced in your tea education or are looking for your first experience in the world of creative tea flavours. It was truly fascinating to learn about the production of tea (who knew that black, green and white tea are in fact the same plant!) and how each tea from white to rooibos can be balanced with other ingredients to make such amazing flavour combinations. Bluebird have also pushed their tea blending skills into the world of cocktail making; throughout the evening we had only to say the word and we could have our choice of cocktails (alcoholic or non) which blended classics like mojitos and daiquiris with Bluebird’s very own tea blends. The resulting drinks were delightful twists on the classic cocktail menu. Armed with our new knowledge of tea blending the time came when we were unleashed and given a platter of ingredients to make three of our own blends. My aforementioned Bluebird Bliss will be a real treat when the autumn begins to show its cooler side. I also blended a breakfast tea with an exotic hint of coconut and cloves; and a morning kickstarter blend of matè, hibiscus, red cornflowers and goji berries. And having sampled so much of Bluebird’s astounding arsenal of tea I simply had to come away with the Rhubarb and Custard blend, it being the most delightful treat tea! The Bluebird mixologists, and company as a whole, really show tea blending as a culinary art of the highest form; with each and every one of their teas taking you on a flavour journey. But just as important is how much fun and creativity they bring to the whole thing, which allows them to dream up teas like “Ice Cream Float” and even a “Birthday Cake Tea” with tiny stars added for good measure! Brighton is a city packed with so much to see and do, but the next time you find yourself there be sure to drop in at Bluebird Tea Company; and maybe even book yourself onto a mixology workshop.